consumed: No Effort Week! Gearing up for Black History Month next week, so this is gonna be short. Don’t even make any sense. No one is pirating digital comics. They’re pirating print comics. Gotta do better than that. -Pedro Tejeda is writing again, after a bunch of bullying from me and Jamaal. I liked his review of the new Ghostface record, but his review of 88-keys’ The Death of Adam is on point. I thought it was an ill concept album, and that’s about where it stopped. Pedro’s point about why we should even believe Adam, and why the narrator is on his side, is pretty good, and sorta made me re-examine what it was about. The result is an album that is both a little shallower than I’d expected and more interesting to think about. Visit that dude so he writes more. –This video of a housewife doing acid is amazing and probably sold me a copy of The Harvard Psychedelic Club: How Timothy Leary, Ram Dass, Huston Smith, and Andrew Weil Killed the Fifties and Ushered in a New Age for America . –The Mindless Ones go drinking with superheroes and the results are fantastic. Someone get Garth Ennis to write the comic adaptation. He’s the best at comics about dudes in bars. -You guys see that Matt Fraction x Bryan Lee O’Malley conversation in Casanova: Gula 01? Fraction couldn’t be more wrong about Kanye. I’ve gotta stop reading backmatter. –Cheryl Lynn has a habit of throwing ideas at me on Twitter. She was blue-skying some Kanye + Comics ideas and I basically went and called that bluff. -I bought Superfly: Deluxe 25th Anniversary Edition and Curtis! (Deluxe Edition) because Curtis Mayfield is that dude. 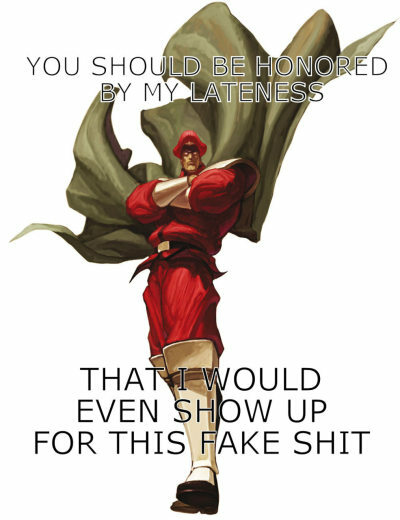 I wanted to do my own little foray into Kanye + Comics and ended up missing the point a little, but I figure Kanye is applicable to Street Fighter too, right? Last minute addition: Cheryl has more comics photoshops, including one that made me gasp out loud at work. Can we all agree than the Black Panther effort was a missed opportunity? I think I have come around on A.S.B.A.R. If you look at it as canon like A.S.S., you’ll be disappointed. But if you look at it like a NextWave or even Marvel Boy and to a lesser degree Secret Six, you can get regular enjoyment from it. @Jordan: There are Street Fighter comics so it’s all good.